The concert organisers HockeyPark Betriebs Gmbh needed a new VIP-guest building for their Sponsor, the savings bank Sparkasse. 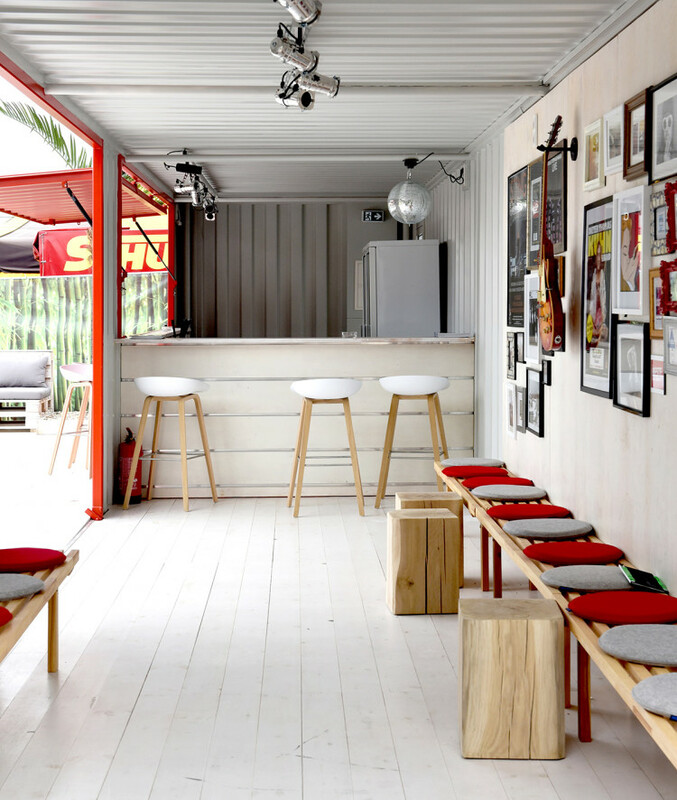 The “bar and lounge” container was created from the single 40ft container. The bar area can be folded out and the lounge area is reachable through a broad sliding door. The spacious outdoor area and the welded-on terrace deck offer the guests comfortable sitting and standing possibilities in a perfect ambient for relaxing and partying. The building received a model approval from TÜV-Rheinland (Technical Inspection Agency), thus making this module nationwide deployable for use in any future events of the Sparkasse.